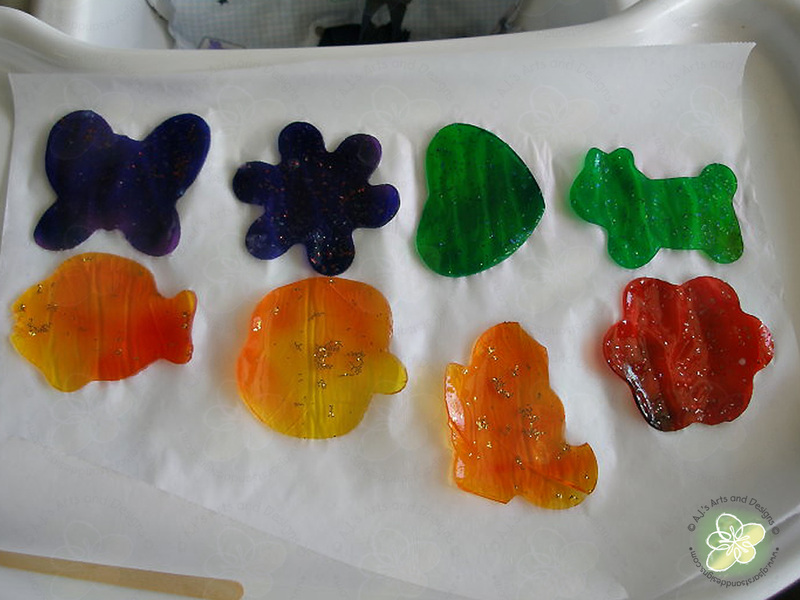 Sun Catchers… | Who Are You Calling Crafty? One of the best gifts I have gotten in the past 2 years is a magazine subscription for Family Fun Magazine. My grandma got it as a gift when I left the hotel so I would have endless ideas to keep Jillian occupied. The magazine gives great rainy day projects and since Savannah seems to be having more rainy days than usual I need a lot of ideas. It rained once again today and Jillian wanted to do a new project. Today’s project was Sun Catchers! Cut open 1 pack of Gelatin then add 3 TBSP of boiling water. Stir mixture until gelatin is dissolved. Add food coloring and mix. Pour mixture onto plates. Add glitter and more food coloring in marble design if desired. Let stand overnight. I cut around the edge with a sharp knife and lifted the gelatin off the plate. Let child cut shapes with scissors, punch hole, and tie with string. Pouting the gelatin on the plastic wrapped plate. Marbleizing the purple gelatin and adding the glitter. Using the cookie cutters to cut the shapes out of the gelatin. Our finished shapes on parchment paper. The shapes stuck to the window until they dry. 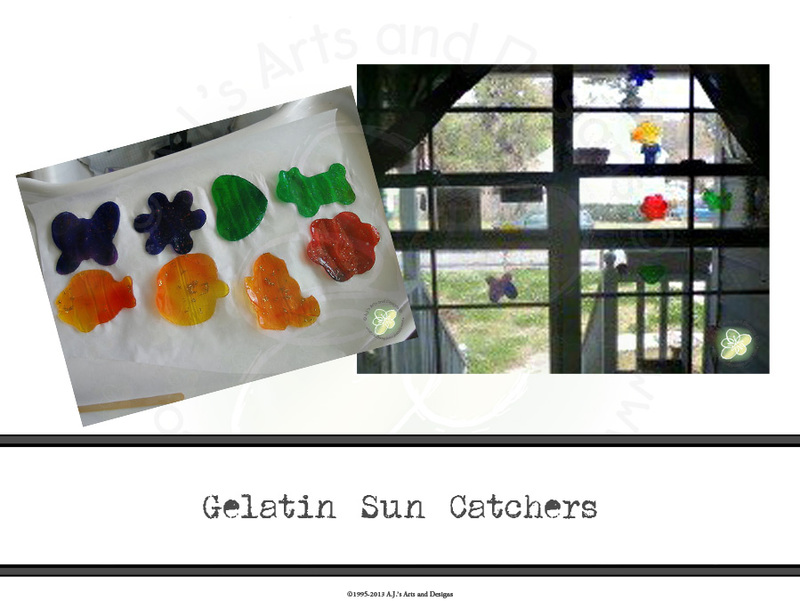 Once the gelatin is completely dry you can add yarn and beads to create an amazing sun catcher.